May 1, 2012 — Imaging Technology News has received the Gold Award for Best Publication Redesign in the 2012 American Society of Healthcare Publication Editors (ASHPE) competition. ASHPE recognizes editorial excellence and achievement in the field of healthcare publishing. The annual awards competition provides an opportunity for editors to measure their efforts against the very best the healthcare sector has to offer. ITN undertook a complete redesign, including a new logo, last fall, debuting with the September 2011 issue. The goal was not only to create an attractive, contemporary look, but also to reconfigure the editorial flow, making it easy for readers to find articles of most interest. As part of those efforts, editorial features were regrouped according to the magazine's three primary subject areas: general imaging, information technology and radiation oncology. The redesign accommodates other important topics that are covered periodically, such as women's healthcare, business/industry trends and nuclear medicine. The redesign incorporated a new department for industry news and a new column, "The Last Read," written by industry veteran Greg Freiherr. 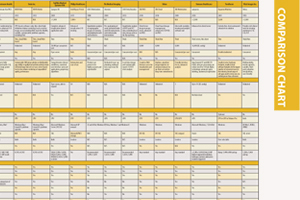 The redesigned publication continues to feature its popular comparison charts, covering all major imaging modalities and related software, as well as important industry tradeshows. Editor Dave Fornell tries his hand at virtual reality at RSNA 2017. Imaging Technology News has been recognized with an award nomination from the Jesse H.